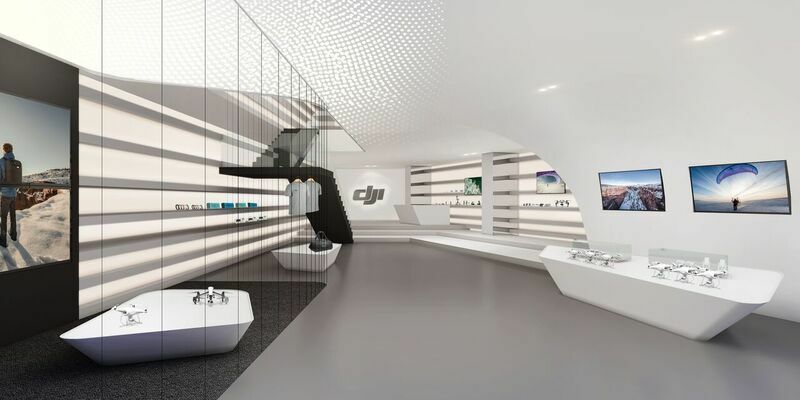 August 29, 2016 – DJI, the world leader in unmanned aerial vehicle technology, said Monday it will soon open a flagship store in Hong Kong featuring flight cages, experience zones, an aerial photo gallery, technical support center and DJI’s full range of consumer and professional products. Located at the center of Hong Kong’s busiest shopping district in Causeway Bay, the three-story, 10,000+ square-feet store will open at the end of September 2016. 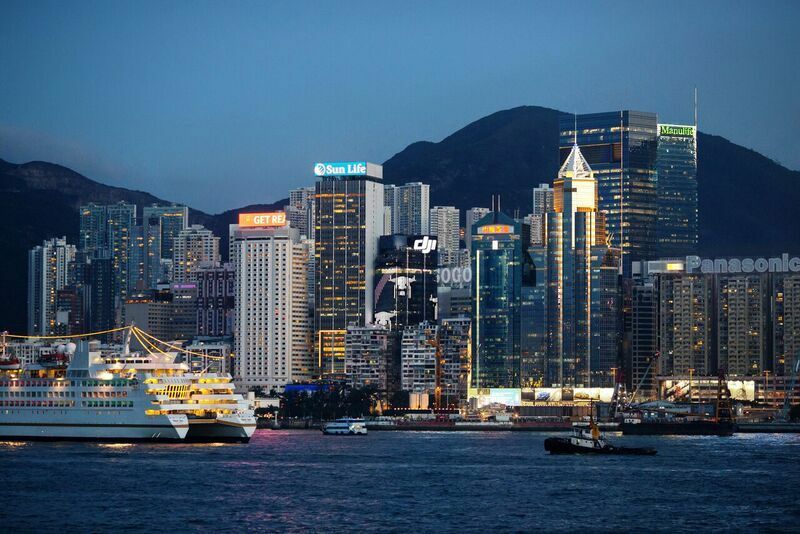 In keeping with the scintillating Hong Kong skyline, the building will display animated DJI logos and drone silhouettes to add to the Victoria Harbor evening backdrop. 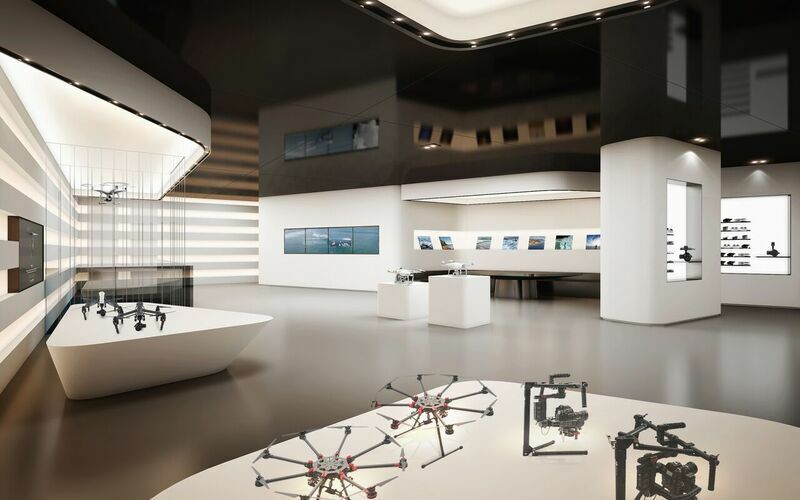 More than just a retail outlet, the Hong Kong flagship store will provide a location where the worldwide community can connect to share their experience of flight and explore the latest UAV products and aerial cameras. The ground floor will have on display DJI’s full range of aerial and handheld products, while the SkyPixel Gallery on the first floor will showcase breathtaking examples of aerial photography from around the world. The second floor will house the technical support center and a dedicated space for workshops, seminars and special events. 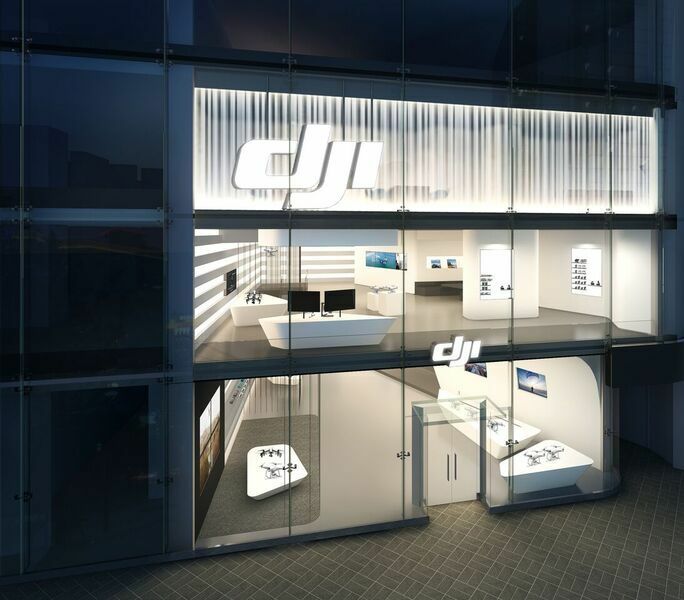 "As interest around our aerial technologies continues to grow, the expansion of our flagship business will provide a place for people to see, touch and learn about our products first hand," said Frank Wang, DJI Founder and CEO. "Discovery is an important part of the learning process and when people understand how easy it is to use the technology, they will find ways to incorporate it into their lives or for their businesses." 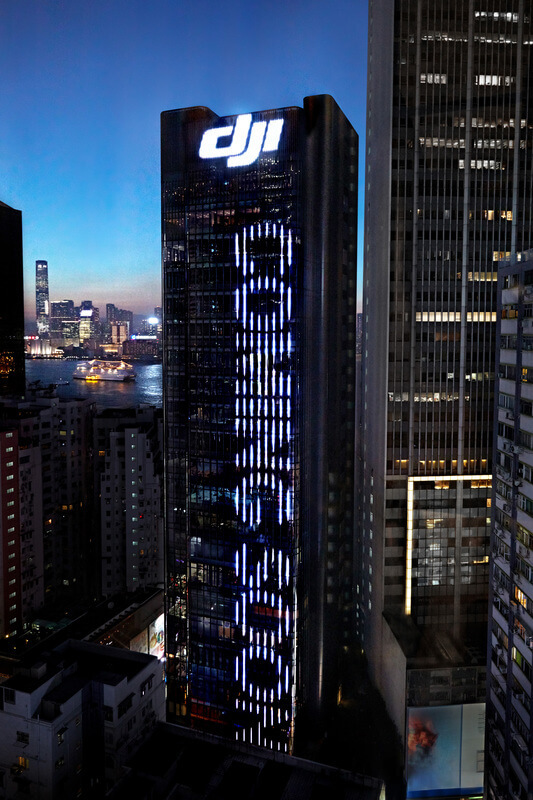 "Hong Kong is an important market for DJI here in Asia and remains a tourist hot spot for people from around the world,” said DJI Hong Kong Regional Manager Sarah Chuang. “The store will provide an opportunity for us to engage consumers from all walks of life, from local photographers to aerial enthusiasts across Asia to travelers visiting Hong Kong looking for the coolest and latest technologies. We want to provide a truly unique DJI experience for anyone who walks into our store. On display and for sale will be DJI’s consumer products, such the Phantom series of drones and the Osmo stabilized 4K handheld camera, as well as professional products, including the Inspire 1 and Matrice series, the Zenmuse Z3, X5R, and XT cameras, and the Ronin handheld three-axis camera gimbal line.